BIRMINGHAM, Ala. — Members of the University of Miami football team got a big boost to their efforts on social media during the first week of practice. 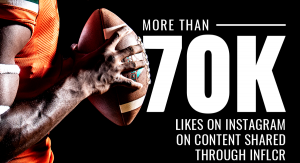 Via software and a mobile app created by Influencer (INFLCR), UM student-athletes were able to easily share content such as photographs and videos created by the university’s digital media staff, resulting in thousands of likes, shares and engagements across social media. The efforts were the rollout of a partnership between UM and Birmingham, Ala.-based INFLCR, a software-as-a-service that helps programs like Miami partner with their student-athletes, alumni, coaches and other brand ambassadors to share digital content produced by the university via their personal social-media platforms such as Facebook, Twitter and Instagram. Miami can track the audience lift it receives via the much-larger collective audience of those brand ambassadors. 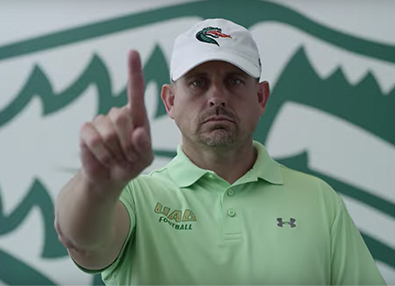 For example, UM’s official football Twitter account has approximately 218,000 followers; the brand ambassadors loaded into UM’s Cloud-based INFLCR account reach almost 1 million unique followers. 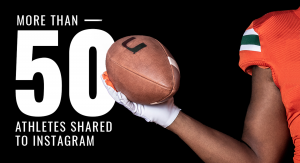 The successful launch at UM saw more than 100 Miami student-athletes confirm their INFLCR accounts, which gives them access to personalized content streams on their smartphones that can be shared to social. 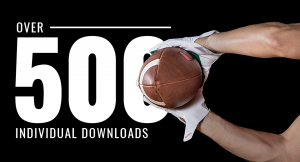 In the first five days of the partnership, more than 500 content items were downloaded by more than 50 student-athletes, with those items generating more than 70,000 likes on Instagram alone. 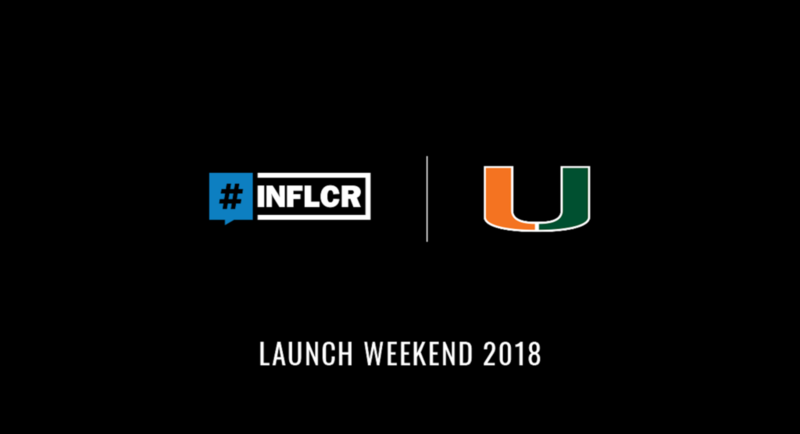 “We’re really excited about the partnership of Miami Hurricanes football and INFLCR,” said Tim Brogdon, Miami’s director of digital strategy. 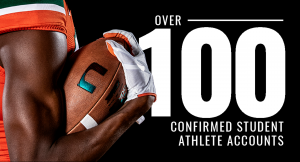 “The University of Miami is one of the most well-known brands in all of sports, and our student-athletes are in the spotlight in many capacities – one of the biggest being the social media realm. Influencer (INFLCR) founder and CEO Jim Cavale said the company is excited to begin work with the Hurricanes. “What we are doing at INFLCR is forward-thinking and disruptive,” said Cavale, himself a former collegiate athlete. 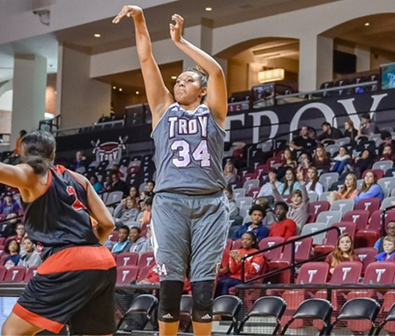 “Giving attention to your student-athletes’ brands on social is something that 90 percent of college athletics brands are not going to do today but 100 percent of them will be doing it in the next 3-5 years. 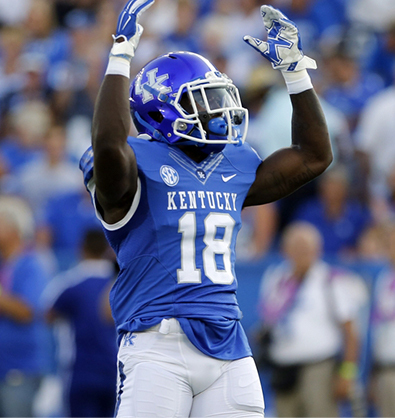 Miami is INFLCR’s first client from the Atlantic Coast Conference. Founded in 2017, the company now has clients from the ACC, SEC, Big Ten, Big 12, American, Mountain West, Conference USA and Sun Belt conferences. Influencer (INFLCR) is a social media CRM that allows teams and leagues to efficiently distribute their digital assets across the social channels of their most effective brand ambassadors (student-athletes, coaches, recruits prominent alumni and fans) while being able to track and measure the reach and performance of the content at scale via a convenient dashboard. With INFLCR, teams can store, share and track their digital assets (game photos, videos, etc.) as they flow through the social media channels of their brand ambassadors.